Global Voices seeks a Project Director to manage a new, two-year project with the working title of Global NewsFrames, and to support the Global Voices community to design and run research projects related to this work. This project, funded by Google’s Digital News Initiative, will create a digital toolset and editorial process for rapid analysis of online media frames and trends in the world’s media markets. This work, if successful, is likely to continue as an integral part of the Global Voices mission. We envision the toolset and associated staff to be a resource for the Global Voices community. The NewsFrames project will support the creation of a dashboard for research on global conversations, news and citizen media. 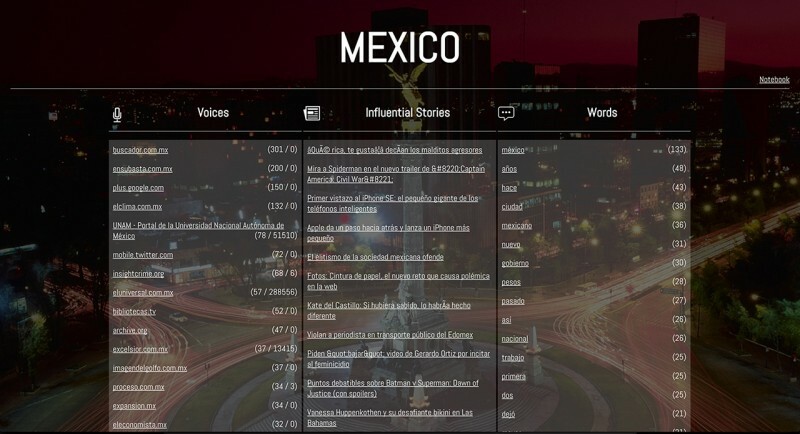 It will produce digests of popular, important and under-reported stories by country and topic/theme and stories based on the data and on real-world issues that result from the research. To build this toolset and editorial process we will collaborate with Media Cloud, an open data research tool that explores complex quantitative and qualitative questions about online media by tracking some 260,000 mass and social media sources. Media Cloud is a joint project of MIT Media Lab and Harvard’s Berkman Center for Internet & Society. See summaries of the project here and here. Global Voices is a global, virtual organization, supported by the paid and volunteer efforts of people on every continent. The Project Director must possess a wide range of professional and personal skills to help the project reach its potential as the leading international network for the development of successful and effective citizen media projects. The Project Director will report to the Global Voices Executive Director and Managing Director. The ideal candidate must have a passionate commitment to the values and goals of Global Voices. She or he will be joining a well-established core team who are dedicated to amplifying the voices of the world. There is no geographic requirement associated with this position; Global Voices has no office or physical headquarters. Candidates must have access to broadband internet connectivity and be comfortable working in a wholly virtual environment. We strongly welcome candidates from outside North America and Western Europe, and encourage people currently contributing to the Global Voices project to apply. Interested candidates should send a CV and letter of interest explaining why you'd be a good candidate for the job to: adminjob AT globalvoicesonline DOT org by no later than June 20, 2016.